Being a blogger, you might have tried different ways to make money online. 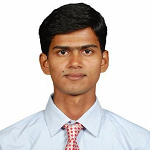 In past also, we have talked about how to make money by URL shortening. Recently, we tried another URL shortening network ouo.io and can say they have impressed a lot. I have tried ouo.io since few days and they are paying good payout compared to many other URL shortening advertising networks. Here I am going to write about ouo.io review based on my experience. Let’s start with ouo.io review and see how this will help you earn money by shortening URLs. Ouo.io is comparatively new URL shortening advertising network but growing very fast. They’re one of the high paying advertisement networks. You can earn around $1.5 per 1000 views. The model is similar to what other URL shortening advertising network follow where you will be paid once someone will click on the shortened URL. The network is completely free to use and no nonsense ads are being displayed. That mean, no matter you own a blog or not, you can make money online by shortening the URL. At the end of this article, I will share some tricks to make more money by URL shortening. All you have to do is, just shorten any URL you have using ouo.io and when someone will click on it, they will be shown an ad for few seconds before redirecting to the destination and you will be paid for this ad. The payout depends on the traffic location and is more for tier one countries followed by tier 2 and 3 countries. Ouo.io has not set any specific rules for the signup and anyone can easily signup. You just need to fill a simple form which won’t take more than a minute. You just need to provide a user name, email id, and password for the signup and once done, you need to verify your account. Once your account is verified, you will be able to access the ouo.io dashboard. No external approval is required for this. As said earlier, ouo.io is a URL shortening advertising network and so they have CPM based ads. So, you will be paid for 1000 views and will be depending on the traffic location. We will share the payout rates later in this ouo.io review. Mass Shrinker: This helps you shorten multiple URLs at a time and the tool will give you the shortened URL at a time. Don’t misuse this tool else it will be disabled for your account. Quick Link: This tool helps you to shorten links without logging in to your account. This is helpful to make quick money online. Full Page Script: This is very helpful for bloggers where you need to insert this code in the head section of your site and ouo.io will automatically convert all the links paid links by shortening those. The payout completely depends on the traffic location and ouo.io provides the best rates in the industry. 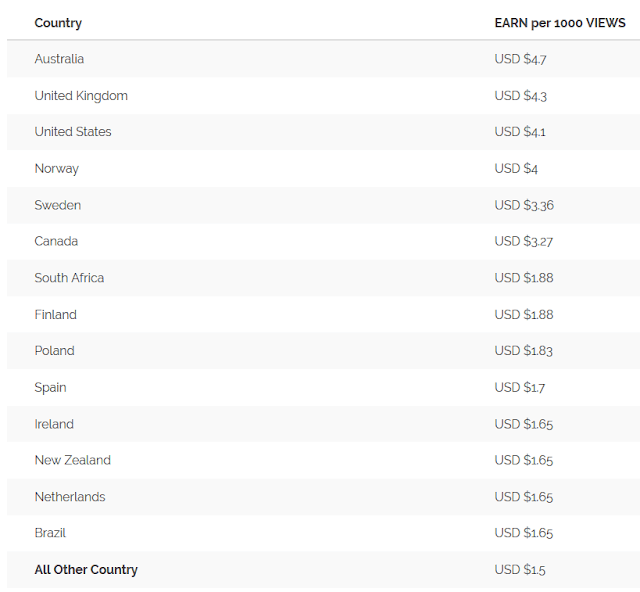 Minimum payout is $1.5 per 1000 views and maximum up to $4.7 for Australia location. The threshold is just $5 and the payment will be done on 1st and 15th of every month. Ouo.io provides excellent referral commission and you can earn 20% of what your referred person will earn. This is an extra perk for you. Choose any viral video or pics and make a blog post of it. You can also use someone else page and shorten their URL and promote. This was all about ouo.io review. 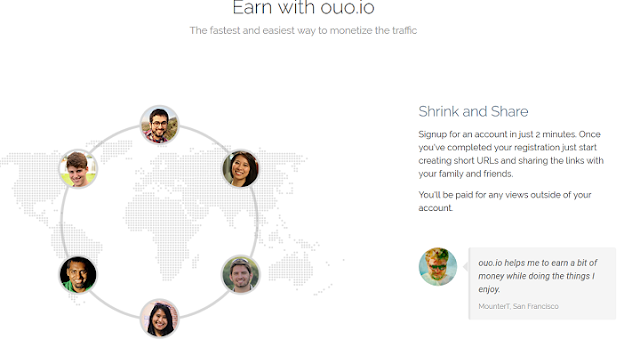 Ouo.io is a leading URL shortening ad network which you can use to earn money online by shortening links. You don’t need to wait longer to get paid as the threshold is just $5. Also, you will be paid through PayPal. Let me know your experience if you have used ouo.io.